To backup all items at once, click on the Backup All Jobs item on the taskbar on the left of the program’s window or click on the Backup All Jobs button on the toolbar at the top and then click on the Start Backup button in the window that appears. Otherwise, you can select the Backup All Jobs item on the Actions menu. 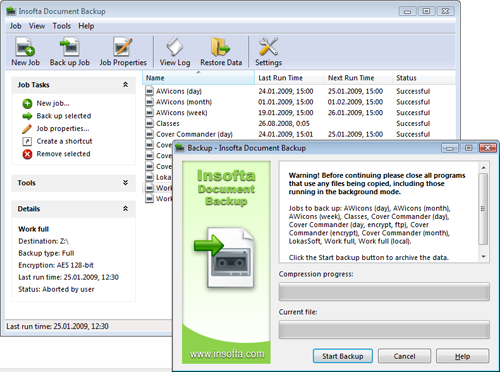 You can also backup all items on the list by right-clicking on the program’s icon in the system tray and then select the Backup All Jobs command on the menu that appears.